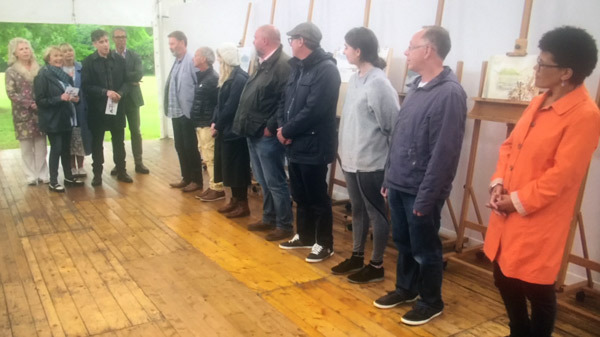 I felt for the artists, presenters and the judges as I watched the opening of Episode 3 of the Landscape Artist of the Year 2018 series - filmed by Storyvault Films for Sky Arts. 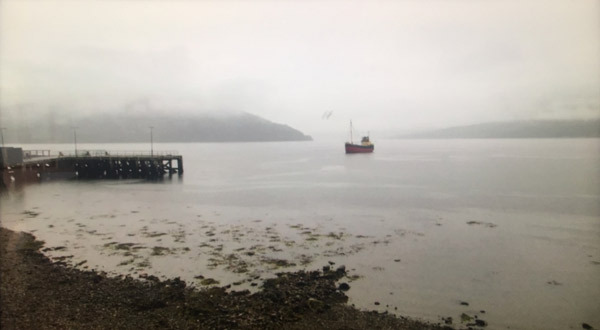 After three weeks of blazing sunshine, they ran into what Scotland does best - a dreich during a heatwave i.e. mist and steady fine rain which absolutely drenches. 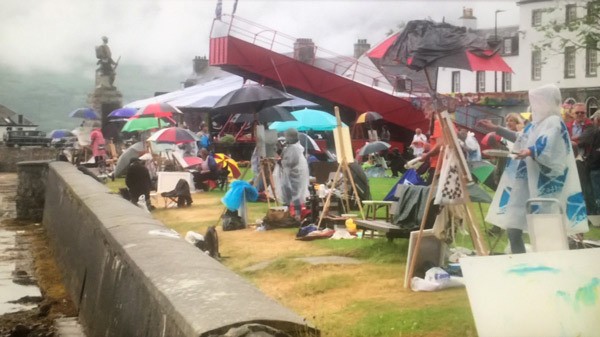 So there were LOTS of umbrellas in this episode - and one even found its way into a painting by one of the pod participants. Warning if you continue to read but have not yet watched this episode you will find out who won! 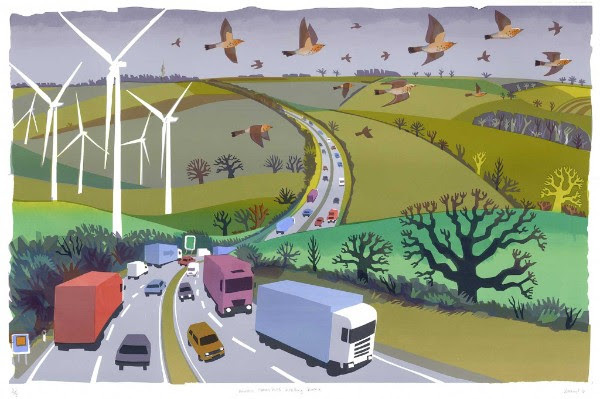 As an aside - one of the very curious things is that Landscape Artist of the Year seems to have died on social media. I always look every week to see if I can find any of the artists and it's now proving more and more difficult! 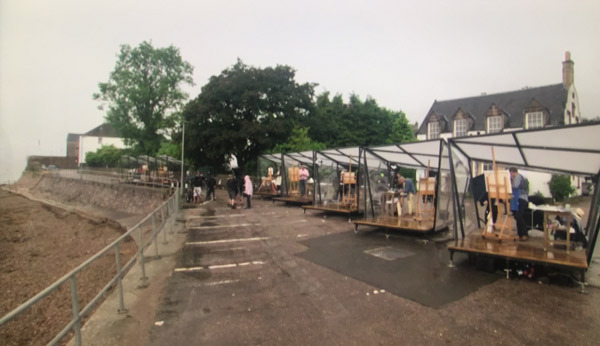 The pods were set up in front of that universal phenomena - the Indian Restaurant - in Inverary on the western shore of Loch Fyne, a sea loch off the Firth of Clyde which is the longest one in Scotland (i.e. some 40 miles long). Prior to the D Day Landings in 1945 it had been home to a base which trained a quarter of a million troops for the landings. The day started with steady rain coupled with a low mist - and this was the view for some of the artists in the pods! Some 1,600 applications were whittled down to 48 for the Heats and these are the latest batch of artists to get their every move recorded by camera. BELOW are some mini profiles of each of the pod participants - with links to their websites embedded in their names and links to Facebook and Instagram where obvious. I'm always bemused about the distinctions between the professional and amateur artists. Posted by Making A Mark on Wednesday, October 31, 2018 0 comments Who's linking to this post? However I have now found my notes of my visit to the SWLA Exhibition last Friday - in my shopping bag in among the receipts and the evening paper from last Friday! So that's the end of notes on paper and next time my formal red Exhibition Notes Moleskine is back in action as the repository of all my thoughts on an exhibition! 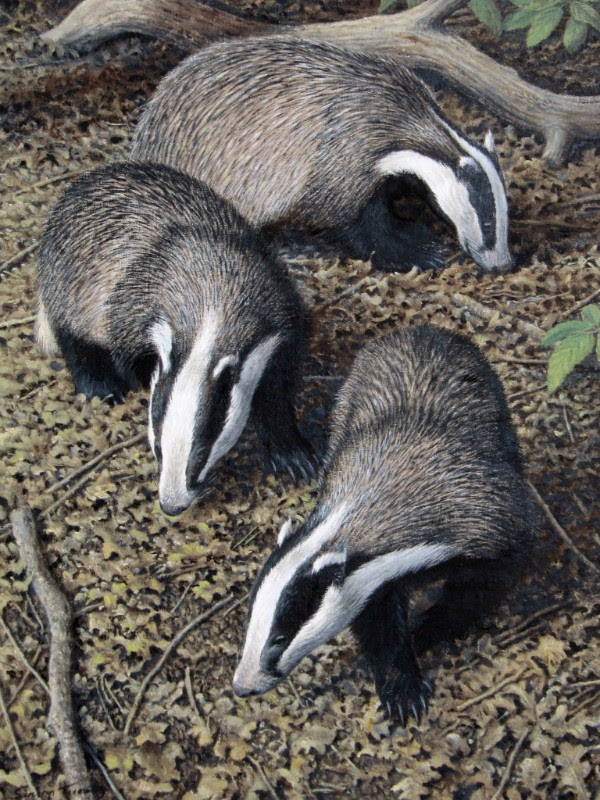 Well first of all, the 2018 annual exhibition of the Society of Wildlife Artists at the Mall Galleries is emphatically not an exhibition of photorealistic artwork. That's not to say detail is not observed or that technique is confined to the gestural as opposed to the precise. Instead the emphasis is very much on seeing, observing over time and portraying the vitality of the wildlife in their natural habitat. There is LOTS of emphasis on movement - particularly of sea birds. Indeed there are lots of very vigorous paintings in the Threadneedle space. 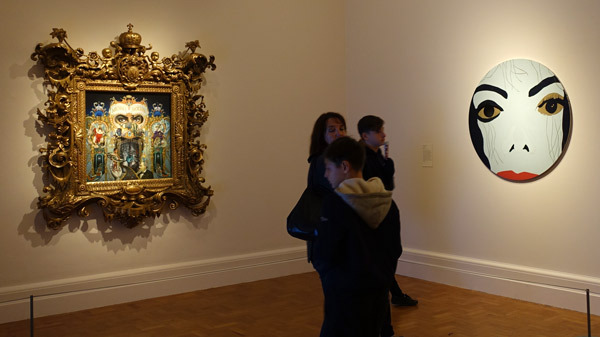 There's also a lot of emphasis on colour - although the works in the Threadneedle Space tended more towards the blue/grey cold end of the colour spectrum (see above) with warmer tones prevailing in the main gallery. I like the fact that there is both complete truth about colour from some artists while others like to push the boundaries and make their art "pop" off the wall! There is a huge emphasis on wildlife found in the UK and Europe rather than "wildlife if Africa and Asia". the latter while present does not take over the show - with big cats and elephants everywhere. Indeed where the wildlife from other countries is included this year I found it somewhat unusual. Hence the major exhibition of the Urban Black Kites of Delhi - which was very impressive. Posted by Making A Mark on Tuesday, October 30, 2018 0 comments Who's linking to this post? 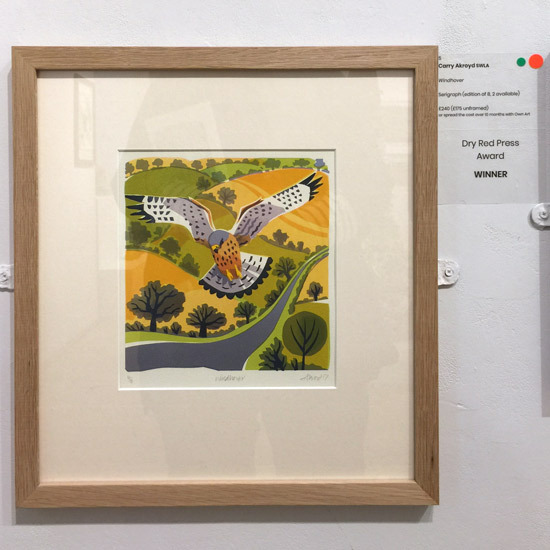 the awards made at "The Discerning Eye" - the 2018 annual exhibition of the Society of Wildlife Artists. I'm visiting two hospitals tomorrow(!) so my review of the exhibition may also be a little late in the day. The "Hyrdrothermal Vent", measuring in excess of 6 feer high, made by Jill Moger is a quite extraordinary work - I've never ever seen anything quite like it. It's explained in the catalogue for the exhibition. A hydrothermal vent is a fissure in the earth's surface which typically form underwater along the ridges of tectonic plates which are diverging. Geothermally heated water issues from the vent. The assortment of animals surrounding them are referred to as hydrothermal vent communities. Although reptiles and amphibians predominate as Jill Moger's subject matter, she has created sculptures of many other wild animals. She is particularly drawn to the variety of life on and around the world's coral reefs and has been creating a series of work on this theme. 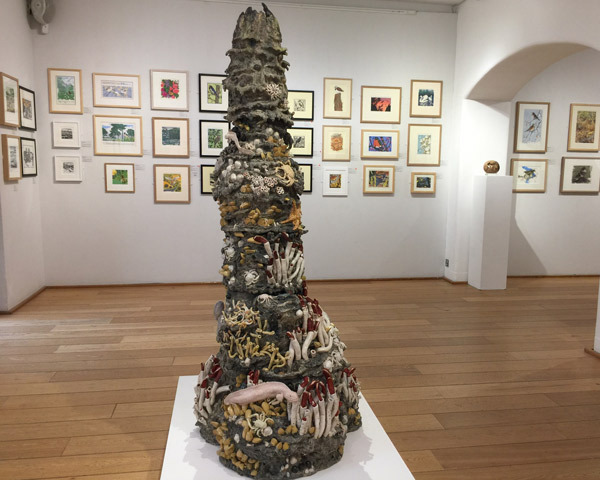 Coral reefs are seriously endangered due to global warming and pollution and Jill believes that artists can help to highlight this impending disaster through their work. Jill Moger is a self taught artist. She was a Vice President for Sculpture of the Royal Society of Miniature Painters, Sculptors and Gravers from 2009 to 2013. 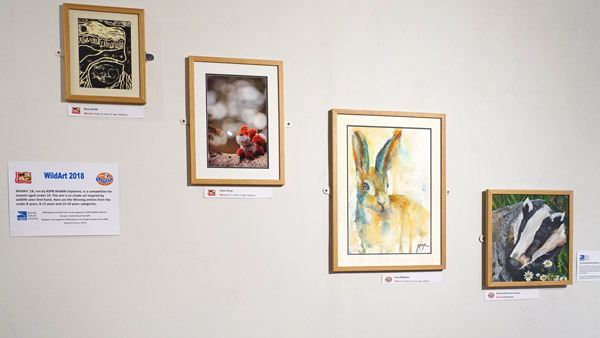 She exhibits annually with the Society of Wildlife Artists and the Royal Miniature Society and at galleries specialising in wildlife art around the UK. One of my favourite artists won one of the top awards. Andrew Haslen was born in Essex in 1953. He lives in Suffolk, has a life-long love of nature and is totally self-taught. 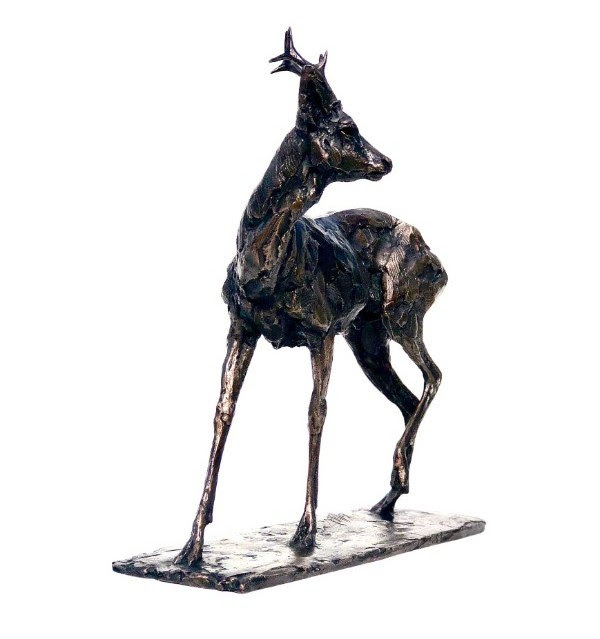 He was elected member of the Society of Wildlife Artists in 1988. He has been selected six times to exhibit at Birds in Art exhibition, Leigh Yawkey Art Museum, Wisconsin, USA. This is the first time that Mascot Media have sponsored a prize. For the first time, we made an award at a show we've been attending for almost 30 years. The Mascot Media 'Nature in Print' award was for 'the most original, unusual or effective interpretation of the natural world using traditional printmaking techniques'. 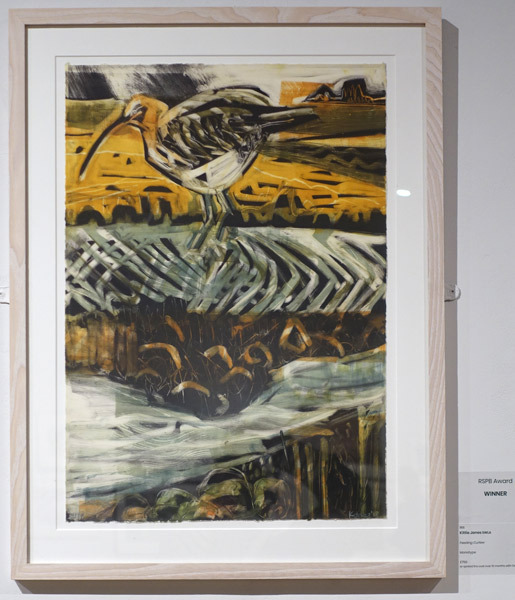 We chose a large woodcut by Somerset-based artist Julia Manning entitled 'Returning Tide', which features curlew over Shetland. 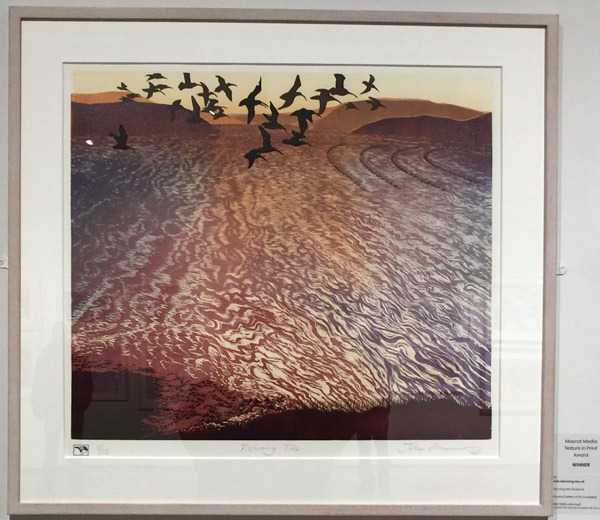 We hope to feature this image and other of Julia's prints in the forthcoming 'Wings Over Water' book, due next May. Julia Manning lives in Somerset and has been a painter/printmaker for 40 years. 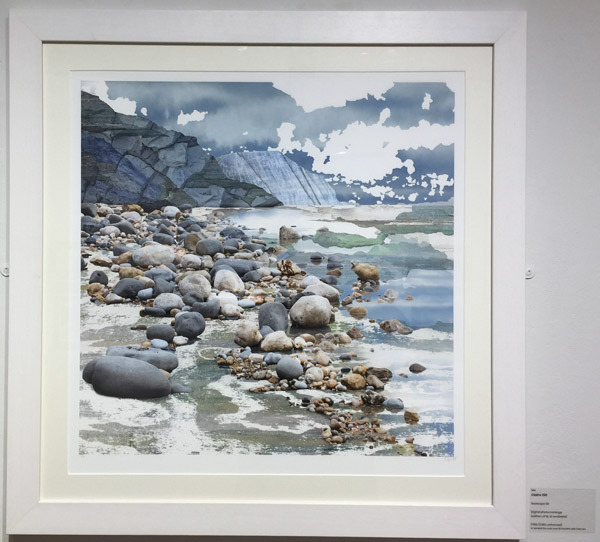 She is a member of The Devon Guild of Craftsmen, Somerset Printmakers, The Society of Wildlife Artists and of The Royal Society of Painter Printmakers. She has work in a number of prestigious collections. There are a huge number of paintings, prints and sculptures of birds at this exhibition every year. This one came top this year! 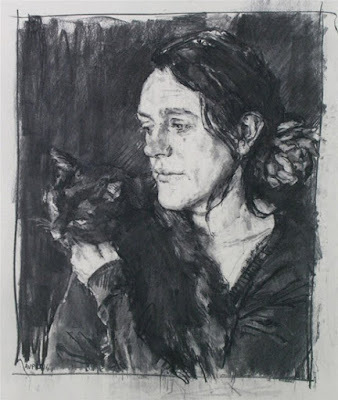 Kittie Jones is a fine artist based in Edinburgh. She graduated from Edinburgh College of Art and Edinburgh University in 2008. 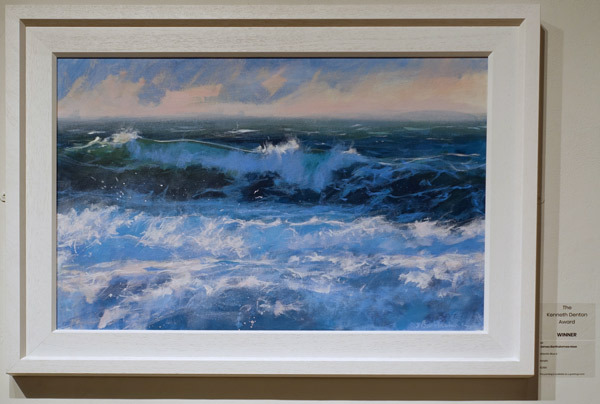 She works from her studio at Coburg House Art Studios in Leith and regularly exhibits around the UK. 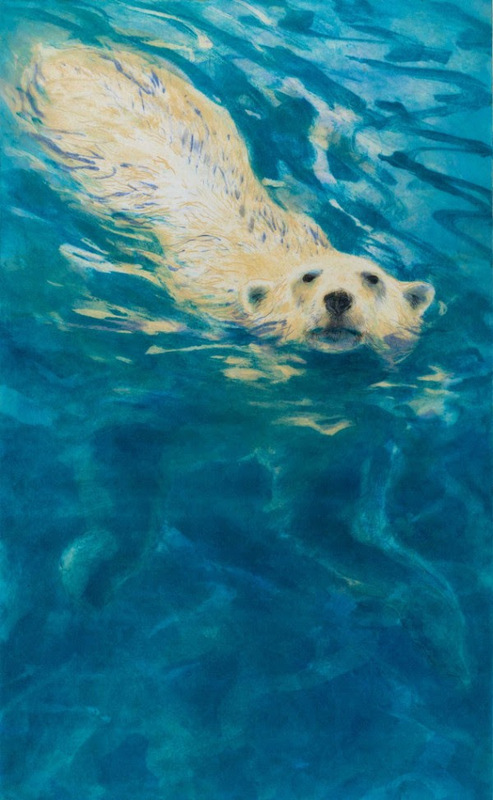 Kittie was elected as a professional member of the Society of Wildlife Artists in 2016. 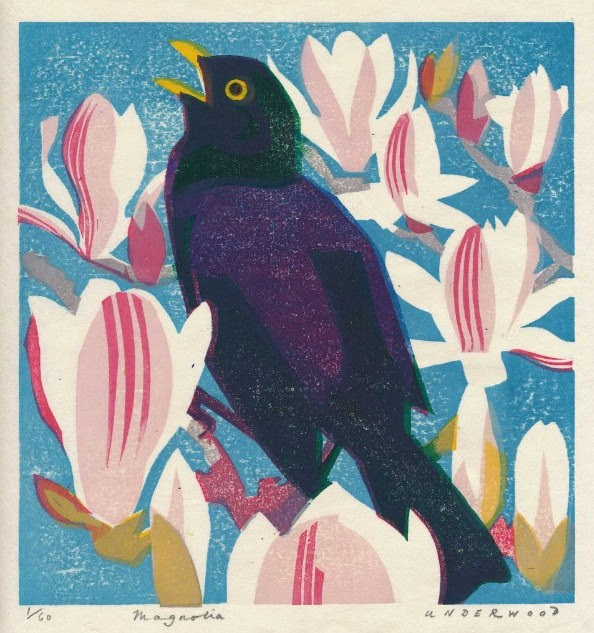 One of my favourite painter/printmakers who works in a variety of printmaking approaches. Esther Tyson lives in Matlock, Derbyshire. She graduated from the Royal College of Art in 2003 and now combines a studio with observational outdoor practice. Esther has been involved in projects within the UK and Worldwide, working alongside organisations such as Birdlife International (Nepal, Vultures), BTO (Senegal/Norfolk, Migration), DKM (Turkey), Esther Benjamin Trust (Nepal), Free the Bears (Phnom Penh), FFI (Cambodia), Salford Council (Salford), Royal Parks (London), SWLA, Natural History Museum (the Big Draw). In 2005, John Steel retired after 23 years working for Northumberland National Park as a ranger in the Cheviot Hills and latterly as park species and habitats officer. Posted by Making A Mark on Sunday, October 28, 2018 0 comments Who's linking to this post? 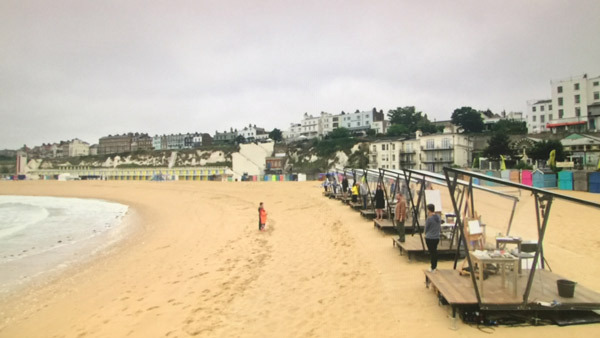 Episode 2 of Landscape Artist of the Year 2018 was filmed at Viking Bay at Broadstairs in Kent in June 2018. EITHER they were up incredibly early OR the public don't frequent the beach when it's grey! This episode had me really wondering why Storyvault Films doesn't do a better job of checking whether people have ever painted plein air before. The joy of this series comes from watching people who can paint plein air and produce a decent painting at the end of it. The more who can do it the more pleasurable the episode is. It didn't take too long to suss out this episode was going to be very different from the one last week. There are six heats - and two were painted at each location. So it's clear that whatever order they are filmed in is not the order they are presented in - otherwise we'd be having Heat 2 of Fountains Abbey this week. In this instance Episode 2 was actually Heat 4! Posted by Making A Mark on Wednesday, October 24, 2018 0 comments Who's linking to this post? 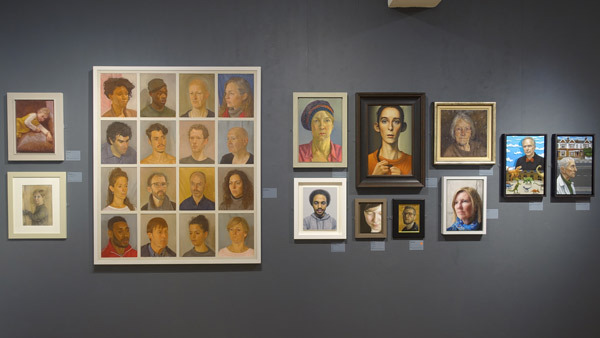 Portrait Artists are invited to submit works for exhibition alongside members of the Royal Society of Portrait Painters (RP) at their Annual Exhibition 2019. The deadline for entries is Friday 18 January 2019, 12 noon. The RP seeks submissions of new and traditional artistic models and perspectives in portraiture. the scope to attract commissions for future portraits. 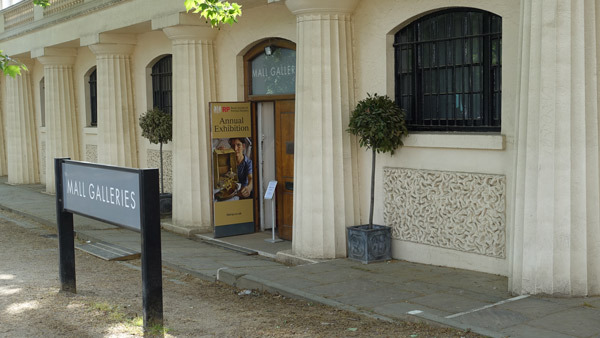 Venue: Mall Galleries, the Mall London SW1 - across all three galleries due to its size. The exhibition includes several prizes and awards, open to all participating artists. 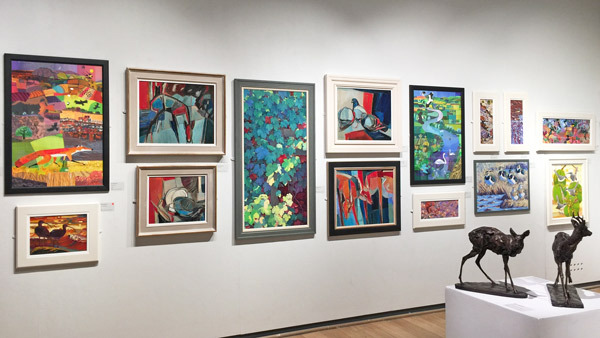 All works shown in the Annual Exhibition will be eligible. winner will be the artist whose work best represents the year's chosen theme - ‘Skin'. The judges will be looking for new / interesting / surprising / engaging interpretations of the idea of ‘Skin’ within the parameters of portraiture. Posted by Making A Mark on Tuesday, October 23, 2018 0 comments Who's linking to this post? Want to know which portrait painters have attracted the most commission enquiries in 2018? 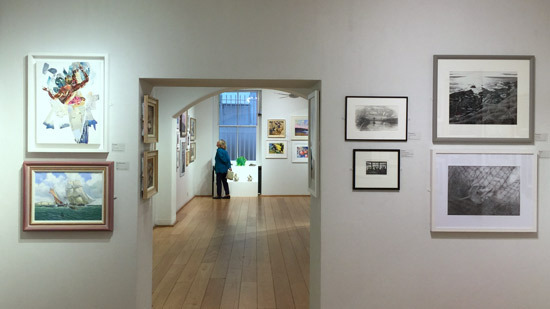 The Commissions Consultant at the Mall Galleries - who works with the Royal Society of Portrait Painters (aka RP) - recently published her annual post about the portrait artists attracting the most enquiries about commissions during the annual exhibition (and - but I'm guessing - during the course of the year). I also took a look back at the artists listed between 2015 and 2018. In turn, this provides information for those interested in portrait painting as to the preferences of the most important people i.e. the clients with the money who can afford to commission a painting for what will be a not insignificant amount of money. So - first the rankings and then my commentary on what I think this tells you. Plus something important to know for those wanting to place a commission - at the end! 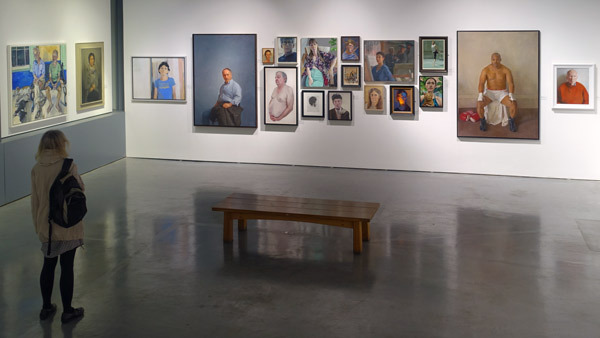 see https://therp.co.uk/top-five-portrait-artists-2018/ and my review of the RP annual exhibition in 2018 - Review: Royal Society of Portrait Painters Annual Exhibition - Unstuffed! The latter includes the heading Very few stuffed shirts and lots more women! The fuddy duddy factor was seriously reduced! A Price Guide for Commission fees is listed below for each artist - as listed on the RP website. These always exclude expenses such as frame and the artist's travel and accommodation for sittings. Commissions start at £8,000 for a 20×16 inches portrait in oils. 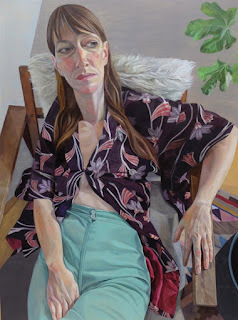 Former President of the Royal Society of Portrait Painters, Alastair exhibited three portraits of eminent women at this year’s exhibition. Review: Royal Society of Portrait Painters Annual Exhibition - Unstuffed! He generated the most enquiries in the year in which a portrait of his was also selected for the BP Portrait Exhibition. He became a member of the RP in 2002 and Hon Treasurer 2005. In 2008 was made President, the youngest in the Society’s history. In 2011, Alastair was also commissioned by the National Portrait Gallery in London, to paint Tony Blair for their permanent collection. I suspect his three paintings of women of importance in the annual RP exhibition also contributed to his success with queries this year. 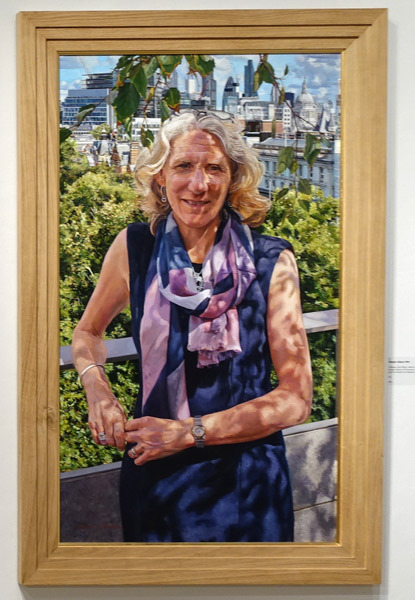 I particularly liked his portrait of Professor Julia Black of the LSE - and I'm thinking a lot of other women would have done likewise. He also has a very accessible website with nice large images of his portraits. Commissions start at £7,500 for a 12" x 8" portrait in oil. 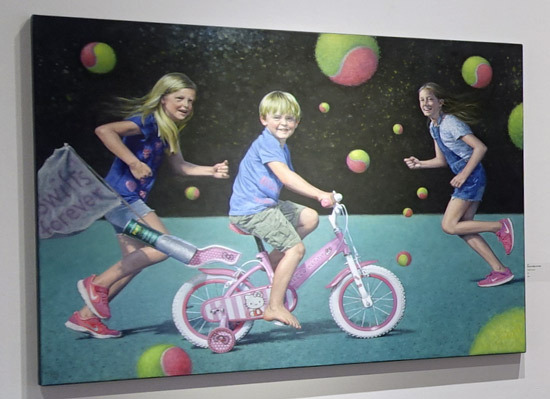 Brason is a perennial favourite - and he's the ONLY one to be identified as a top five portrait artist in the last three years. He was also a a finalist in The National Portrait Gallery’s Annual Portrait Awards from 1980 to 1993. Do look at his impeccable drawings as well as his paintings! He is an excellent draughtsman and master of tone and colour such that he looks like he's painting very accurately whereas he actually simplifies quite a lot but represents what he paints very well. (Check out his paintings of garlic to see what I mean). He also keeps backgrounds simple, plain and unfussy. His subjects look animated rather than stuffed shirts. His self portrait suggests that we need to look to Piero della Francesca (1415-1492) for inspiration and influence on his style. Overall I can well understand why he's very popular amongst those wanting to commission a portrait. 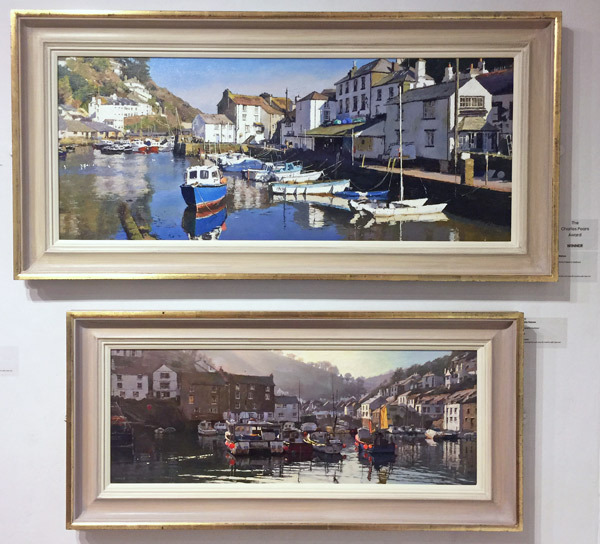 Paul’s commissions have included HRH Prince Philip, Earl Spencer, Sir Roy Strong and may notable figures from the Arts and Academia. PS I also LOVE his drawings of children! Commissions start at 20 x 16 inches £8,500 for a single portrait in oil. Vice President of the RP (2002-2008). 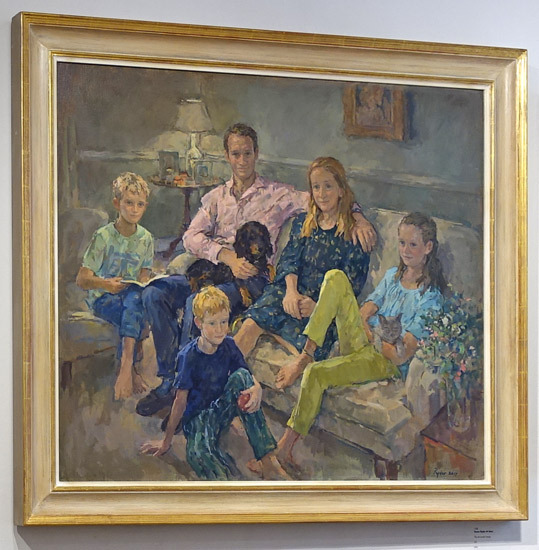 Well known for being one of the few who paint families - painting her sitters in their homes and also painting children and family dogs - with one dog being included for free! (It's always struck me that liking dogs or cats and being able to paint family pets is a pretty useful asset for a professional portrait painter!) She has also painted royalty and painted a number of commissions for various schools and colleges. She also paints interiors of homes. Her paintings has a very clear painterly style which - I'm guessing - people will either love (or not). Commission for a single portrait in oil starts at 20 x 16 inches £8,000. His Self Portrait entry was used to advertise the 1998 BP Portrait Award which helped to establish his reputation as a portrait painter. Elected a member of the RP in 2016. Has painted over 100 commissioned portraits for corporate and private clients. Strong on suit, shirt and tie portraits. his corporate clients tend to be academic institutions of one form or another. Won the Changing Faces Prize in 2012 for a particularly effective portrait of a young girl with an obvious facial disfigurement. It was both frank and respectful - and I thought it was excellent. NOTE: Mark Roscoe uses a Flash website. While a popular format some years ago, most browsers have moved away from Flash as a standard and Apple has never liked it which means it's unlikely that the website will be viewed by many using Apple devices. It's a point worth noting by anybody who is using Flash for their website. The lack of a specific URL for individual portraits also means it's impossible to share a portrait you particularly like. Posted by Making A Mark on Monday, October 22, 2018 0 comments Who's linking to this post? 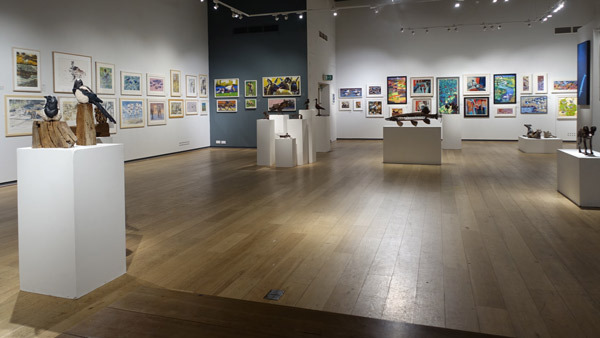 Every year I say that the Society of Wildlife Artists has one of the best and most consistent records of a top quality art show at the Mall Galleries - of diverse subject matter and a variety of media for paintings, drawings, fine art prints and sculpture. 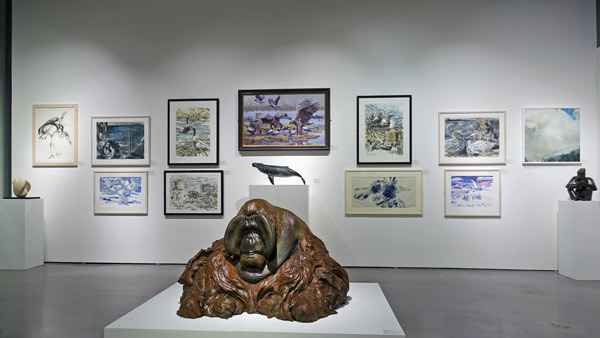 The Society aims with this exhibition to further an awareness of the importance of conservation in order to maintain the variety of the world’s ecosystems and its wildlife. 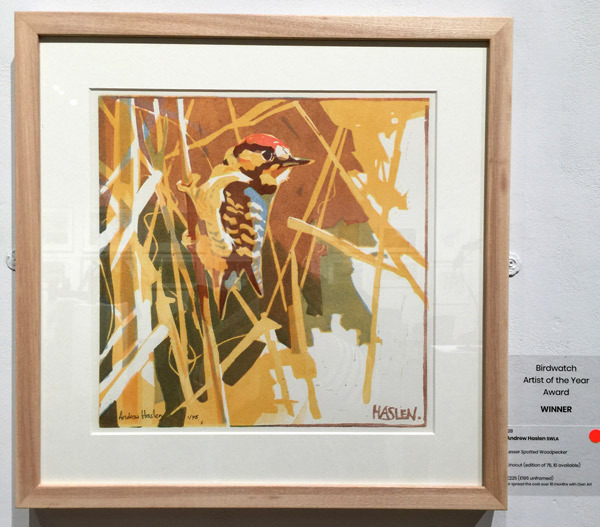 HOWEVER If you mention this blog "Making A Mark" at the front desk, you and a friend can visit The Natural Eye: Society of Wildlife Artists Annual Exhibition for FREE - instead of the normal £8 admission for two people. There will be a member artist available most days to answer questions. Posted by Making A Mark on Sunday, October 21, 2018 0 comments Who's linking to this post? 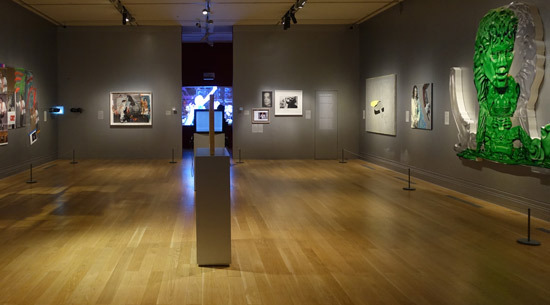 Tomorrow is the last day of the Michael Jackson - On The Wall exhibition at the National Portrait Gallery in London. 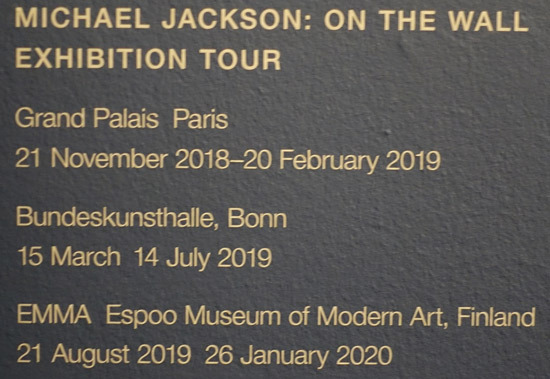 This landmark exhibition explores the influence of Michael Jackson on some of the leading names in contemporary art, spanning several generations of artists across all media. Curated by Dr Nicholas Cullinan, Director of the National Portrait Gallery, our summer exhibition has opened to coincide with what would have been Michael Jackson’s 60th birthday (on 29 August 2018). 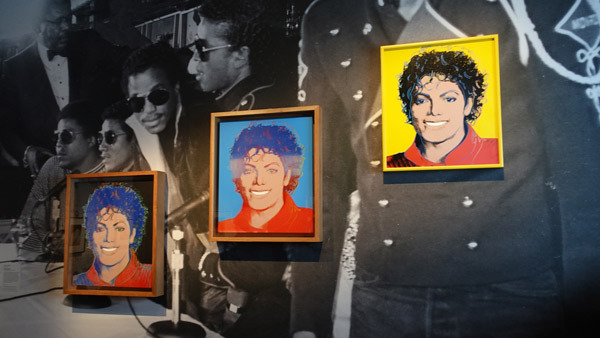 Since Andy Warhol first used his image in 1982, Jackson has become the most depicted cultural figure in visual art by an extraordinary array of leading contemporary artists. There were a very few artworks I thought had merit. The Warhols were good. I liked the leather jacket covered in tiny cutlery. 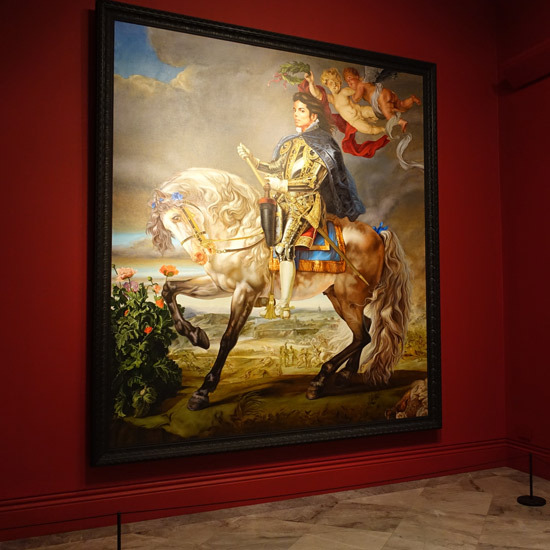 I wasn't sure whether this painting by Kehinde Wiley had merit - I wasn't a fan of the painting - or 'the painting'. I guess it's a generational thing - or maybe a celebrity thing? What was very noticeable was the exhibition was pretty empty, which seemed a bit off. Apparently, I was told, it's been really busy with young people at the weekends. By way of contrast, this is the Gallery that normally houses the BP - and it was EMPTY! Apart from the area at the end where there was an audio visual installation of German born fans singing the songs - track by track - from Thriller. 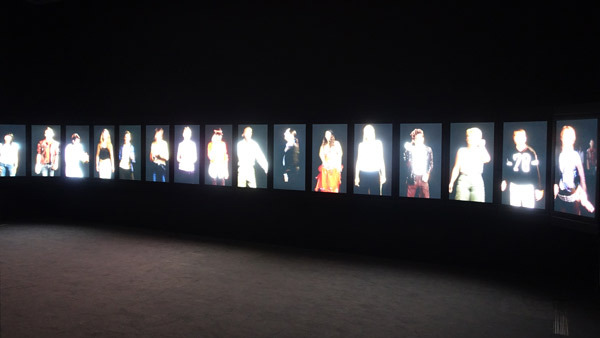 The Candice Brietz installation comprises videos of fans singing the songs in a booth in a professional sound studio accompanied by the individual sound recording of that person - meaning it really did sound like they were singing in front of you. It was quite unnerving how in sync with the songs they heard. I assumed there must be a backing track which we didn't hear. I liked it - it proved to be very seductive - and it was one of the things I did like. Candice Breitz's Vimeo Channel is worth a look. It certainly didn't feel anything like the Michael Jackson I grew up with. If you want to make your own mind up you have one day left! 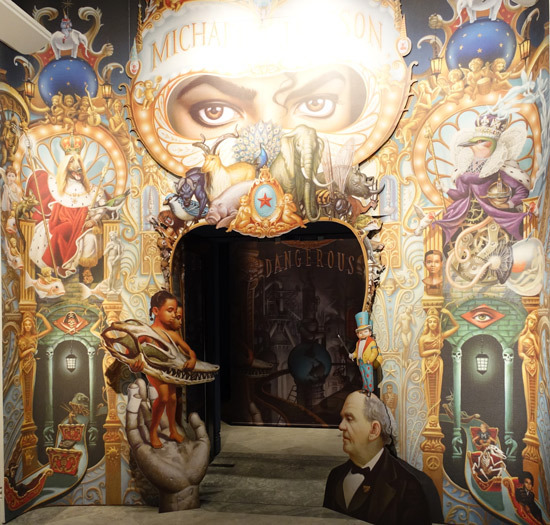 Any of you been to the new Michael Jackson show at the NPG? What did you think? I thought it was, by some distance, the worst thing I've ever seen there. Might have been terrific in Tate Liverpool, or some such. But in the NPG, meaning shows like the BP Portrait Award (one of their most popular, whatever one might think of it) are squeezed into a shoebox? A delirious ego trip by the director. The lucky people of Paris, Bonn and Finland will get the exhibition next. As I came out, I was reminded of the very marked contrast with the extraordinarily successful exhibition about Pink Floyd at the V&A - and all their visual media and art developed around the group, the albums and the concert tours. Posted by Making A Mark on Saturday, October 20, 2018 0 comments Who's linking to this post? The Landscape Artist of the Year competition and television series hosted by Sky Arts television kicked off this week in a spectacular setting. 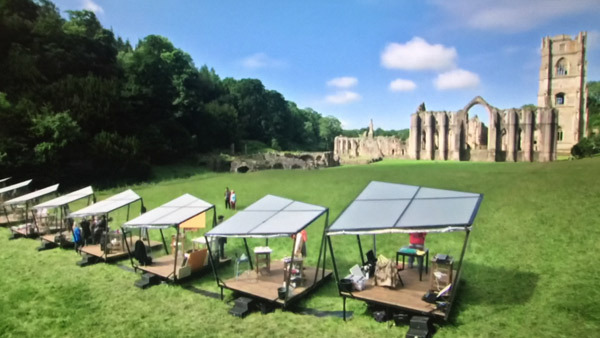 a review of Episode 1 - at glorious Fountains Abbey in Yorkshire - including mini profiles of the artists and links to their websites and LOTS of Learning Points! plus lots of references to past blog posts and tips about plein air painting at the end! This is the fourth series of the show, which is produced for Sky Arts by London and Glasgow-based independent production company Storyvault Films. The audience for the programme has grown with every series to date. PLUS if you get Now TV you can watch ALL the episodes from Seasons 1, 2 and 3! The prize for the winner this year is a prestigious commission from the Imperial War Museum to create an artwork to tie in with the centenary of the 1918 armistice. Some 1,600 artists entered for the 2018 competition - and they were whittled down to just 48 artists competing across six heats. I'd STRONGLY RECOMMEND you watch this series first - and read my blog posts! I covered the judges, presenters and how to watch this programme in Sky Arts Landscape Artist of the Year 2018 starts tonight earlier this week - so I'm not going to repeat myself. 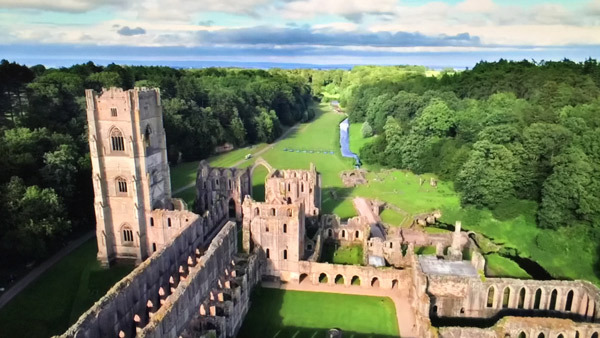 The location for Episode 1 is Fountains Abbey one of the largest and best preserved ruined Cistercian monasteries in England. I well remember being completely overwhelmed by it when I visited it. It's absolutely HUGE and it's surrounded by water and trees and a large expanses of flat ground. Making it an absolute ideal location for a competition like this! What it must have felt like to the competitors is anybody's guess. It's quite nerve-wracking enough painting live for a television show without also being confronted with such an imposing structure! 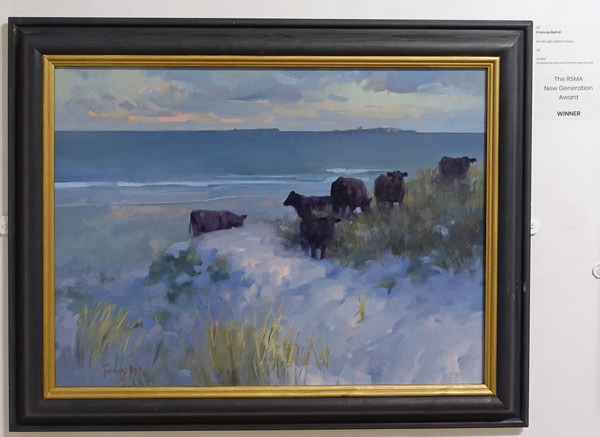 The key for me - in the context of a location like this - was about what they chose to do - which demonstrated their talent and provided them with a view which they could also finish in the four hours they have to paint. In a sense you could tell very early on who might get to the end and win the heat - by how they started. If you don't know who won, just review those early profiles of the artists and see what they tell you about their ability to deliver. For me, it's hard to avoid the conclusion that judging a competition like this is not unlike interview people for a job - where you can find yourself making early decisions about candidates based on what they wear and how they walk through the door and greet you. Early impressions count for a LOT! Posted by Making A Mark on Friday, October 19, 2018 0 comments Who's linking to this post? 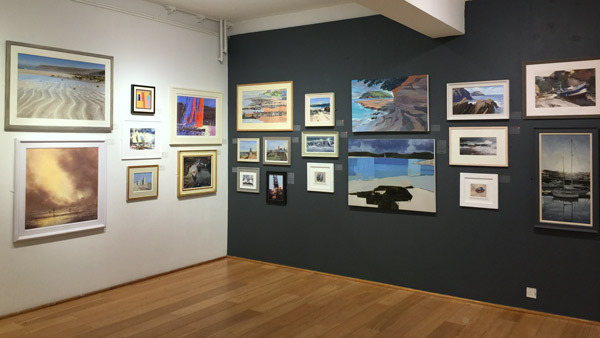 This is a review of the inaugural exhibition by British Plein Air Painters at the Menier Gallery, 51 Southwark Street, London, SE1 1RU. 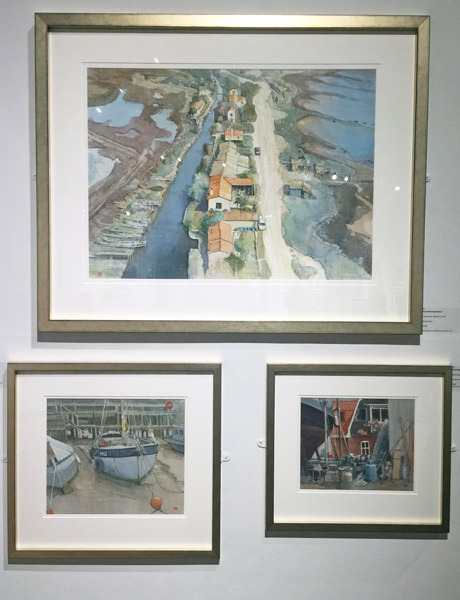 It is the first exhibition by the newly formed collective British Plein Air and promises to be one the most exciting exhibitions to be held in 2018. 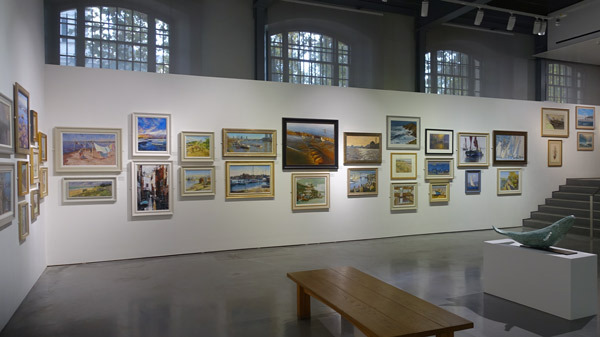 The exhibition comprises over 200 paintings for sale by 27 leading plein air artists in the UK - including David Curtis and Trevor Chamberlain, Pete Brown, Adebanji Alade and Haidee-jo Summers. All work is for sale during the show and can be viewed on their artists page. 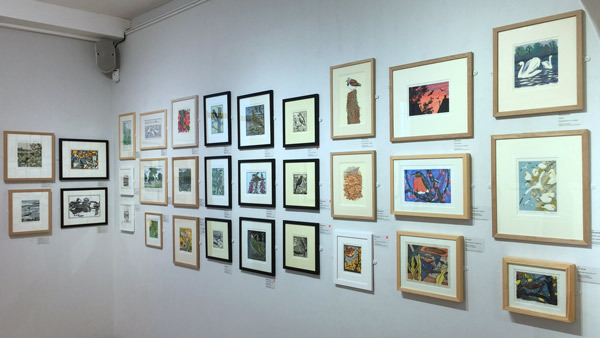 The exhibition continues until 4pm on Saturday 20th October. 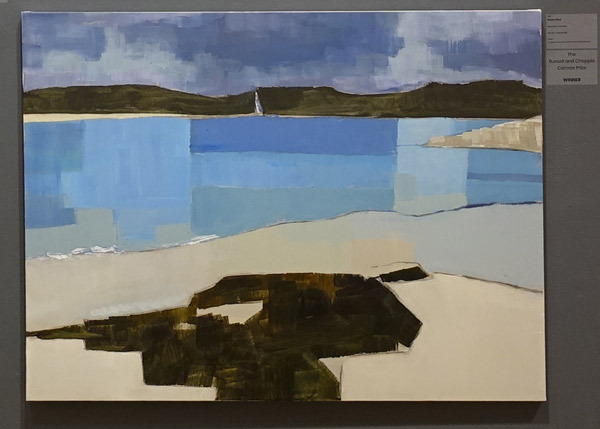 Why is it that so many art societies in the UK seem to be so dedicated to limiting their activities to having demonstrations or talks with slides or painting a still life indoors or social get togethers rather than arranging plein air events/expeditions? It can't be the weather - as we only need to go and look at some of the photos of the weather some of our north american artist friends paint in! Maybe we need a focus or a network for plein air activity in the UK? It's not as if it isn't happening - it's just not happening on a website near me - whinge now officially over!!! Maybe somebody will prove me wrong...........please? We now have the answer! See the end for more information. there were absolutely no paintings which were copying photographs! Each painting featured will have its origins based outside; some will have been finished on site and some finished in the studio. Every painting strives to capture the essence of the landscape in which it is based. 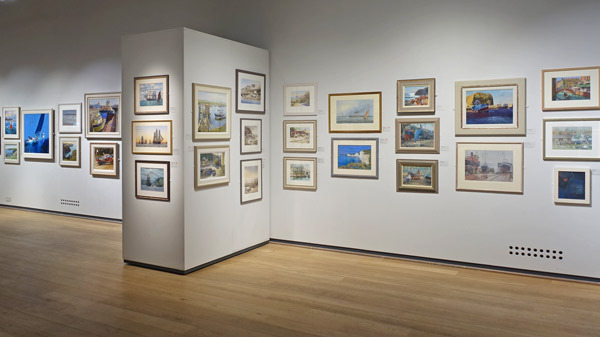 As such it demonstrated the very wide variety of styles and approaches to painting landscapes from observation - and it was a pleasure to look at much of the work on display. It was also great to walk into an exhibition which was already sporting red dots on many paintings - and it was great to see people walking out the door with the paintings they bought. To me, from what I've seen so far, in terms of the creation of this new group; their website and social media presence and having an exhibition to show what they can do - all serve to indicate great things to come. Posted by Making A Mark on Wednesday, October 17, 2018 0 comments Who's linking to this post? Tonight, the brand new series of Sky Arts Landscape Artist of the Year 2018 begins at 8pm on Sky Arts. How to watch Sky Arts - Portrait Artist of the Year 2018 without subscribing to Sky! The same principle applies to this series. 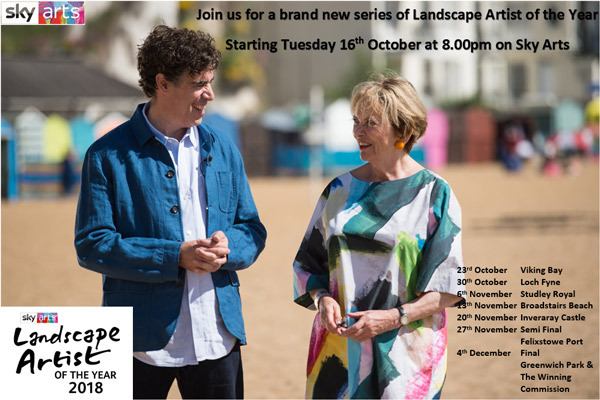 As we already know, Frank Skinner is not be joining Joan Bakewell as the presenters (see Frank has gone and Sky still wants more Landscape Artists) and has been replaced by British actor, Stephen Mangan. (Mangan is) best known for his performances both in the theatre and on screen, including starring roles in the BAFTA Award winning Green Wing and the British/American television comedy series, Episodes. 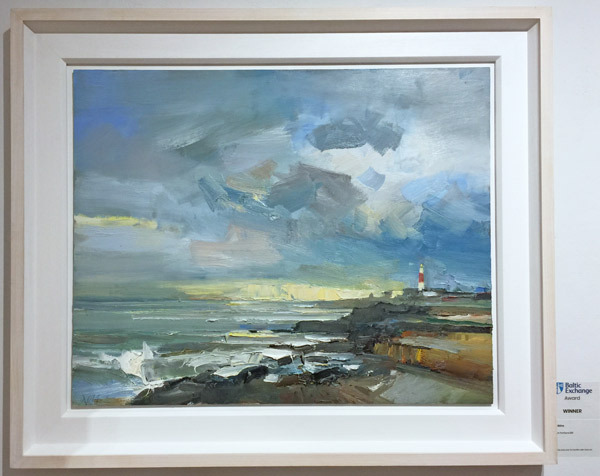 He joins the Sky Arts shows fresh from his critically acclaimed performance in The Birthday Party at the Harold Pinter Theatre and as production is under way for the 2018 series of Landscape Artist of the Year and for the 2019 series of Portrait Artist of the Year. Posted by Making A Mark on Tuesday, October 16, 2018 0 comments Who's linking to this post? 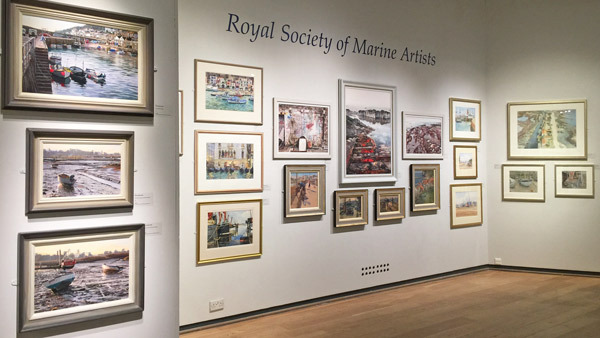 The 72rd exhibition of the Royal Society of Marine Artists is in all three galleries of the Mall Galleries until 5pm on Saturday 20th October 2018. 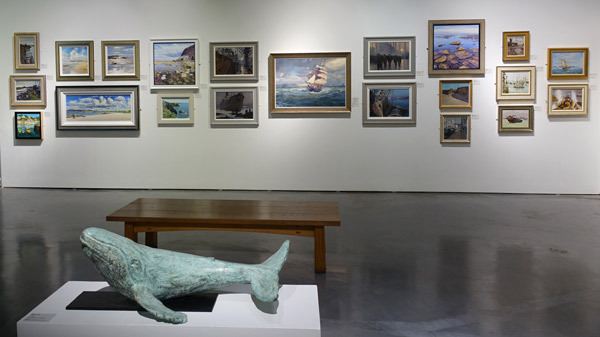 The exhibition contains just over 400 artworks comprising paintings drawings and prints in a variety of media plus sculpture and 3D artworks. 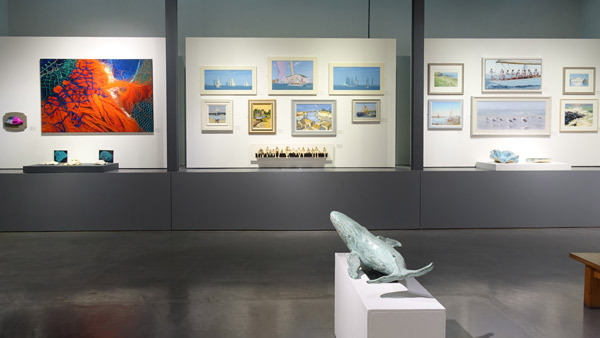 The dominant colour of the exhibition is a blue turquoise punctuated by greys and red/oranges. 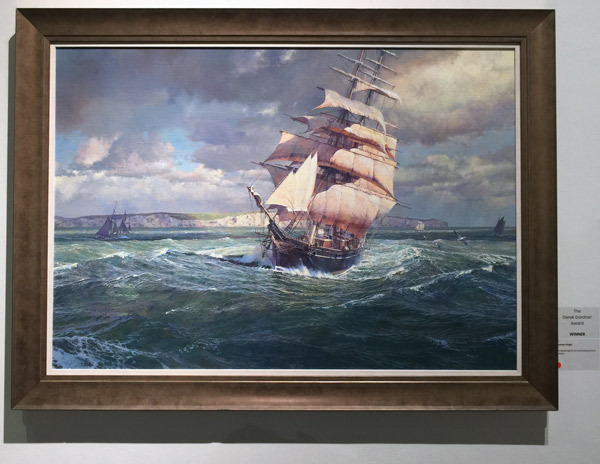 The Royal Society of Marine Artists is the focal point for much of Britain's finest contemporary marine art, and many of the country's leading marine artists are elected Members of the Society. I've been trying to make a video of the exhibition post hard disc crash - but it looks like I need to get on with (1) updating my operating system to make it worthwhile to (2) upgrade to the latest video software - so that (3) I can make videos. At the moment I'm limited to imovie on my iPhone - but you can see two quick videos of the exhibition on my Facebook Page. 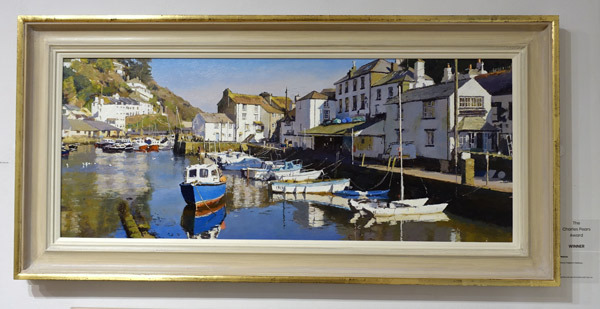 The stand-out artist for me is a non member called Pete Nance from East Looe in Cornwall (originally from the Isles of Scilly). 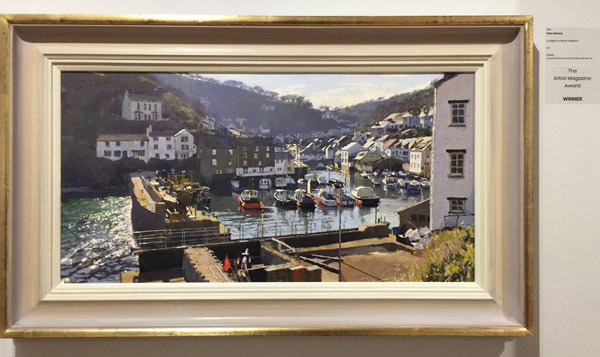 His panoramic paintings of harbours - particularly Polperro - are absolutely outstanding. Sadly he does not have a website - although he does have a Facebook Account (but not an FB Page) and is a member of Liskerrett Artists. If he did have a website he'd be getting lots of enquiries about his artwork. 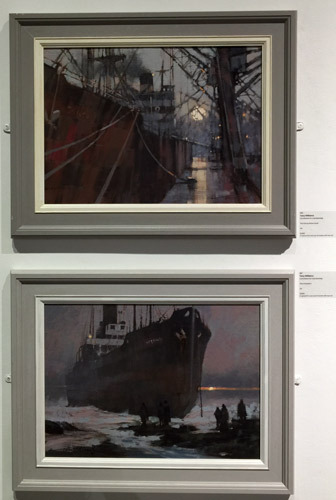 Unusually for an Open Entrant, he had all four paintings accepted for the exhibition. Unsurprisingly he won two of the awards. Surprisingly he's NOT a candidate for membership although to my mind he's an absolute shoe-in should he apply. I'm hoping the RSMA will encourage him to apply. 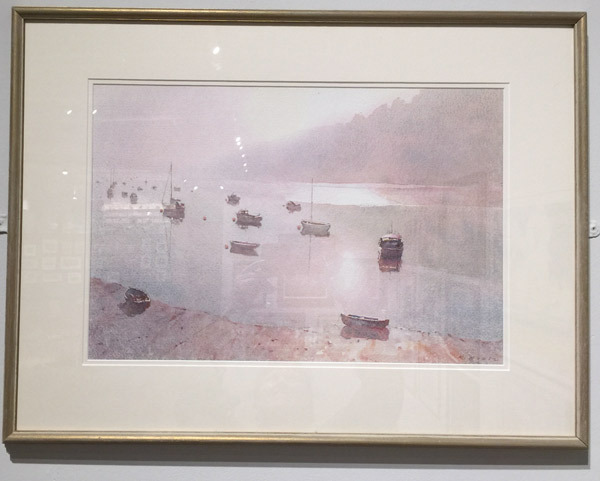 Apart from Pete's paintings, the painting I that appealed to me the most was a very quiet watercolour painting of dawn on a the Truro river. 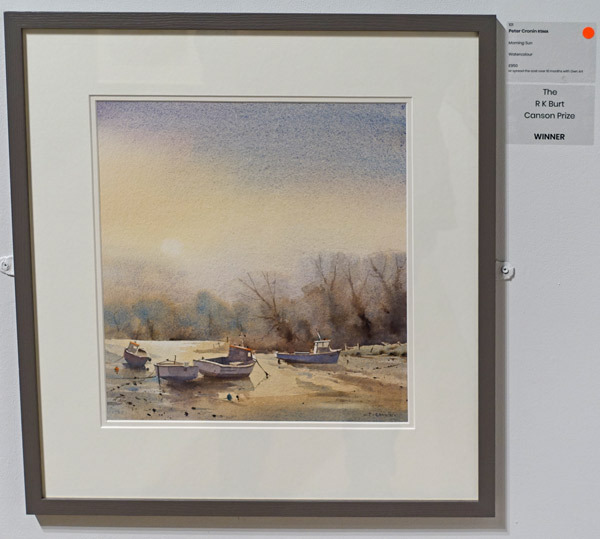 It's very much the sort of painting I'd like to see more of in art competition like the Sunday Times Watercolour Competition - where the properties and pleasures of watercolour are clear to see. Paul Banning's unusual aerial perspective in his watercolour painting Cabanes du Salaison, France also appealed. I noticed LOTS of waves this year. I also noted what I think might be the first digital photomontage in this exhibition. I noted last year how it is never afraid to allow submissions in various media. Below are photos of the exhibition. The prizes were dominated by wins by the non-members - which is always good to see for those who submit work via the open entry. Pete Nance won two awards. 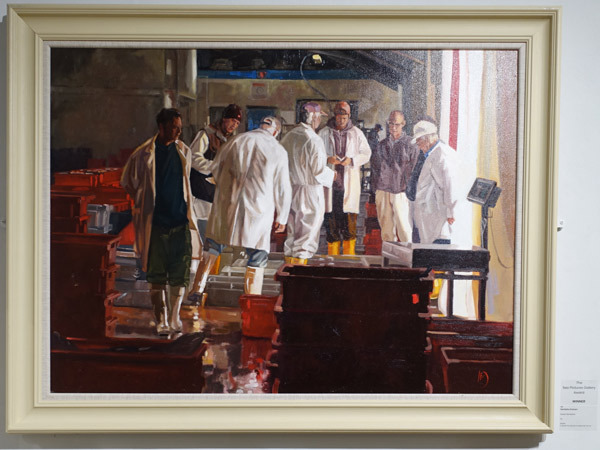 Readers may remember that Frances Bell was elected to membership of the Royal Society of Portrait Painters - and was featured earlier this year on Sky Arts Portrait Artist of the Year. 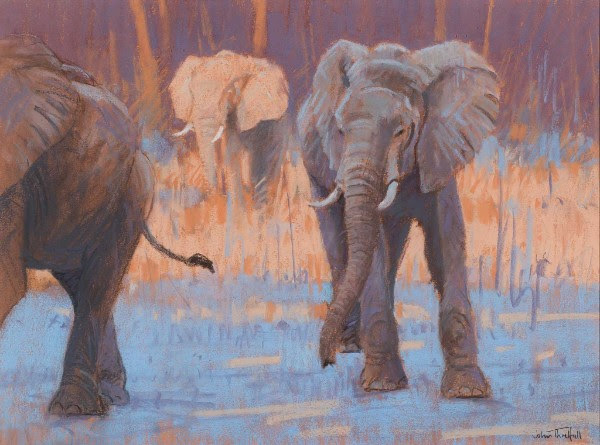 She also paints animals extremely well! Personally I think she should be submitting her marine landscapes. 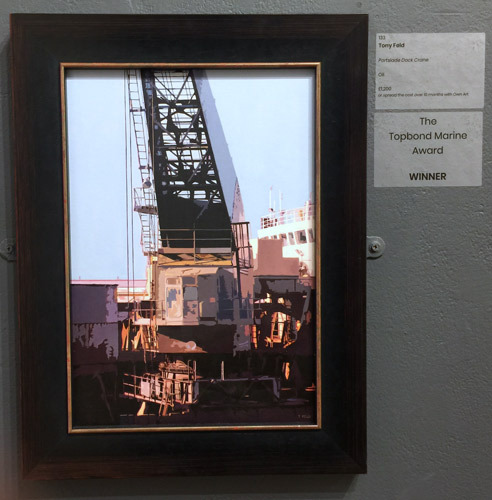 I can't find the winner of The Winsor and Newton Oil Prize in my photos - however that might be because I have a particular aversion to heavy black frames and this one had one of those. 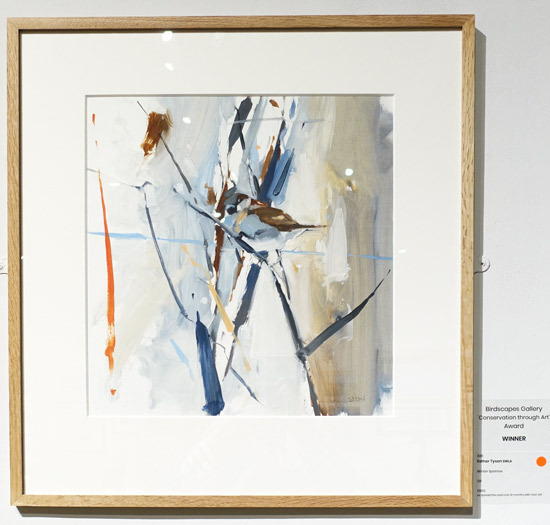 The winner was Lucinda Storm and she certainly has a nice website and I found the pic on the Mall Galleries Instagram! 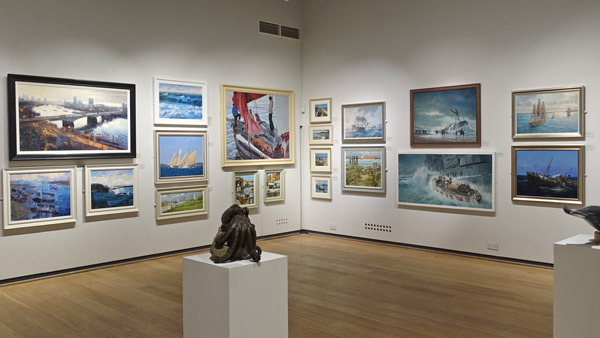 The route to membership of the RSMA is via the open entry and being selected for exhibition. 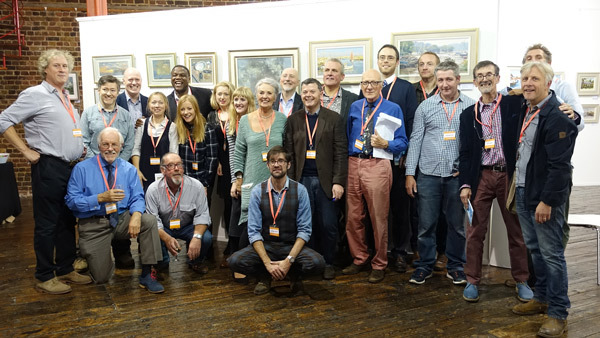 Most of the candidates for membership had their artwork on one wall in the Threadneedle Space. The candidate who impressed me was Tony Williams. His two low key and close cropped paintings were both very unusual and outstanding. 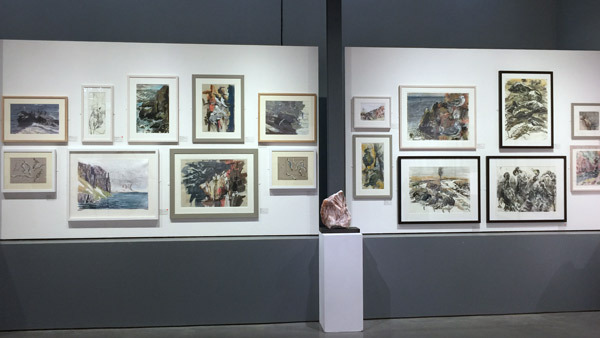 reviews of annual exhibitions in previous years. Posted by Making A Mark on Monday, October 15, 2018 0 comments Who's linking to this post?